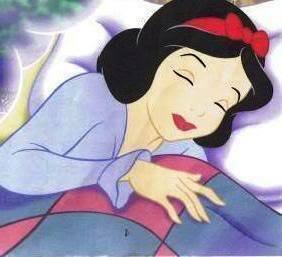 Sleeping Angel. . Wallpaper and background images in the Snow White club tagged: disney princess snow white classics. This Snow White photo contains anime, komik, manga, kartun, and buku komik. Yes! !She is so sleepy!Like me, this morning! But me I was talking about your Favorite Princess Sleeping Beauty !